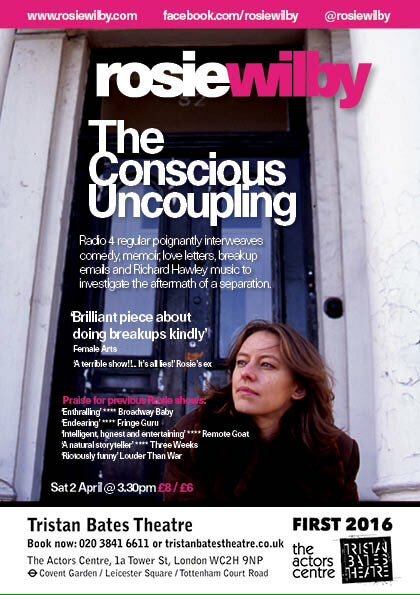 Here's a trailer for Rosie's new solo show The Conscious Uncoupling. It was filmed by Amie Taylor at the show premiere at Tristan Bates Theatre First Festival. Feedback to the performance was overwhelmingly positive as you can see from the tweets cut into the video. The song featured is Rosie's old song Your Ghost from her album Precious Hours.